In the engineering lair at the back of the station, Lawrence sits at his desk among myriad colorful wires, soldering tools and brightly lit screens. On his wall there are pictures of his family, Coca Cola ads, a card with a Robert Frost poem and a certificate of appreciation that the KZSU team gave him to commemorate his 40th year of service. However, Lawrence might get a new wall decoration soon — this is Lawrence’s 50th year with the station. 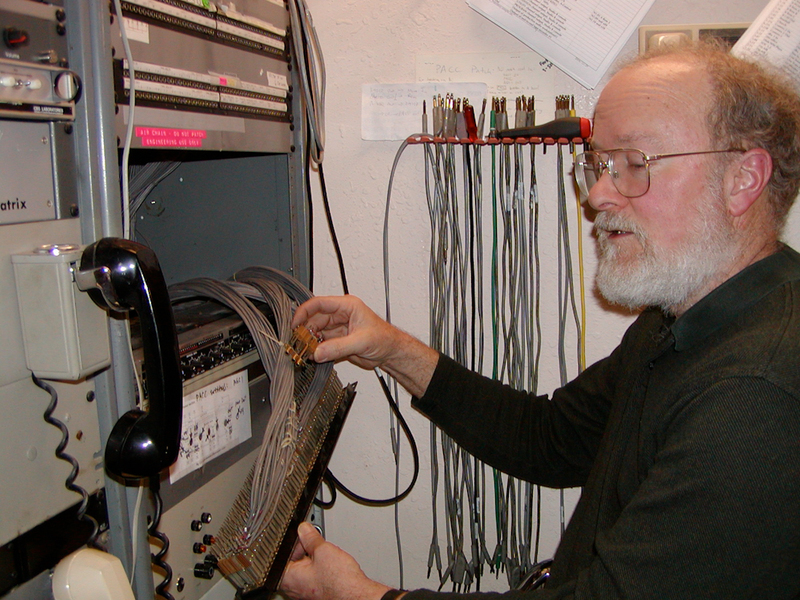 During his college years, Lawrence served as a member of KZSU’s engineering department and he has worked as an engineer at the station ever since he graduated in 1967 with a major in electrical engineering. In his time at KZSU, Lawrence witnessed many of the transitions that the station has gone through over the years, from the annual change in leadership, to the bureaucratic hoops the station had to jump through to get their FM broadcasting license in 1964. Lawrence was even involved in the process of setting up the station’s FM transmitter at the Dish. Despite his many years of service, Lawrence’s passion and curiosity for the technology at the station is as steadfast as ever. Known around the station for always being tapped into his smart phone, Lawrence talked enthusiastically about his fascination with technology, including GPS and computer chips. His love for technical things eventually led him to obtaining his first radio license as a sixth-grader and building a significant amount of radio equipment on his own in high school. “So when I came to Stanford, electrical engineering was the obvious major,” he said. Lawrence valued the hands-on experience of his undergraduate education as an electrical engineering major. While some of his classmates had never gotten their hands on a soldering iron before, Lawrence was already adept at registering practical details and working with technical equipment. He joined KZSU as a freshman volunteer, deciding that — although he was involved in other student clubs, including the Amateur Radio Club — he preferred actively building things to discussing them. Among his other duties at KZSU, Mark helps repair equipment ranging from signal generators to distortion analyzers, replaces delicate needles on turntables and builds most of the equipment in the station’s three studios. His duties, however, extend far beyond engineering. When, in the middle of his interview, a DJ manning Studio A shouted across the station: “Mark, there’s a burning smell,” Lawrence paused the session and rushed to where he was needed. Still, working with students is Lawrence’s favorite aspect of the job. He has worked alongside students that have gone onto impressive careers in the broadcast industry, including former news director Pete Williams ’74, an NBC News correspondent, and David Flemming ’98, an announcer for the San Francisco Giants. According to Lawrence, however, the age difference between him and the largely student staff can sometimes be challenging, particularly when leadership of the station changes every year. Adam Pearson ’12, last year’s general manager, echoed this sentiment. “When someone who’s the age of your grandparent is reporting to you, it is a challenging dynamic and conflict,” he said. Both agreed, however, that a good working relationship was not hard to establish due to a mutual passion for college radio. “Mark is engrained in the station culture, as he’s been there for so long,” Pearson said. Moreover, not many students who work at KZSU are interested in the technical side of the radio. Nevertheless, Lawrence is thankful for the support and appreciation he has received from Pearson, Vo and many of the other staff members, whom he considers dear friends. Most importantly, however, Lawrence is most grateful for the opportunity to tinker with technology.